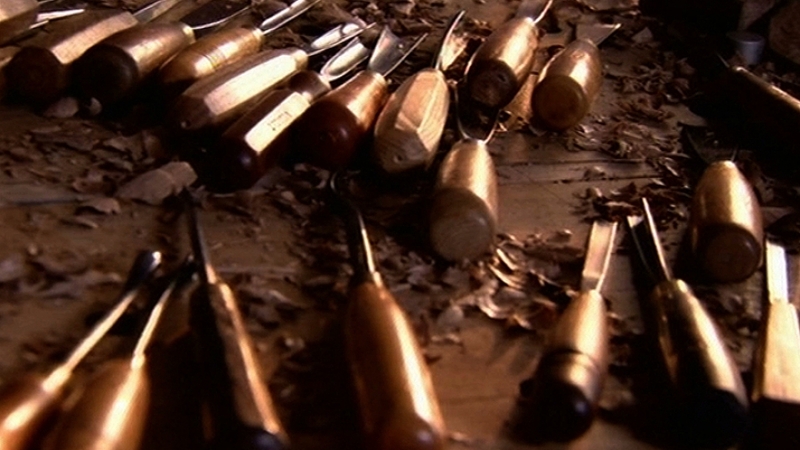 Here is an extract from part 3 of the BBC4 series, 'Carved with Love - The Genius of British Woodwork'. It was fun to be labelled by the narrator one of a 'dying breed of Green Men carvers'. I'm not! I'm quite well really. I do discuss my interest in Green Men and also the woodcarving tradition, the heritage, of which I feel strongly a part.